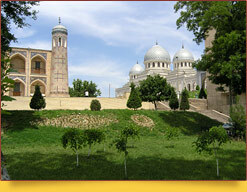 There are a lot of historical sites in the Old Town of Tashkent. It is where history remains part of the present, with its architectural monuments among new buildings and highways. One of these monuments is Juma Mosque, also named Jami Mosque (‘Friday mosque’; Friday communal prayer mosque), the principal part of Registan Architectural Ensemble. 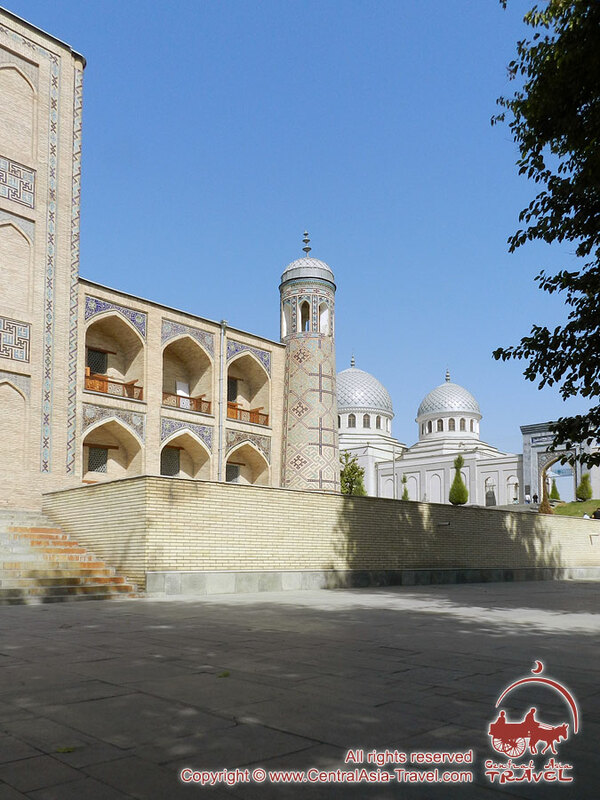 The foundations of the mosque were laid as far back as the 9th c. It is one of the oldest Tashkent Friday mosques and is the city’s only Friday mosque of the courtyard type that was common in Central Asia in the late Middle Ages. The construction of Juma Mosque followed rather a dramatic page in Central Asian history. After the conquest of the region by the Arabs, Tashkent, named Chach then, where people practiced zoroastrianism was completely destroyed (Arabs could not pronounce the name Chach - since the sound ch was not in Arabic - and the city was called ash-Shash, and Shashkent later; in the 11th с it became Tashkent). 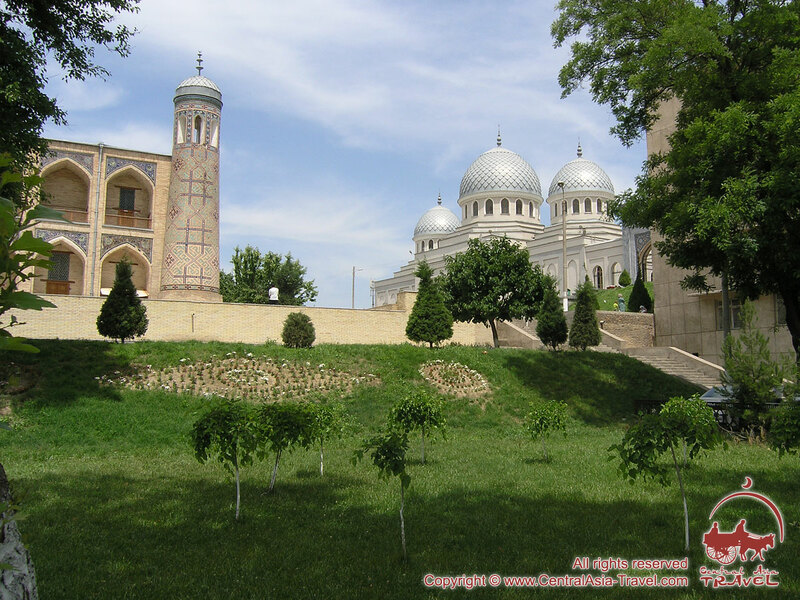 The foundations of Juma Mosque were laid in 819 by order of the emir Yahya ibn Asad (appointed by the local Arabian ruler as the governor of the land of today’s Tashkent Province). 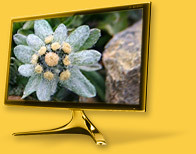 It initiated the reconstruction of the whole former city of Chach. The hill with Juma Mosque on it is located between the three squares: Chorsu, Eski Juva and Khadra. When the emir saw the hill, he decided to build the capital of his province - the northern outpost Madinah ash-Shash, or Shashkent in Turkic - around it. 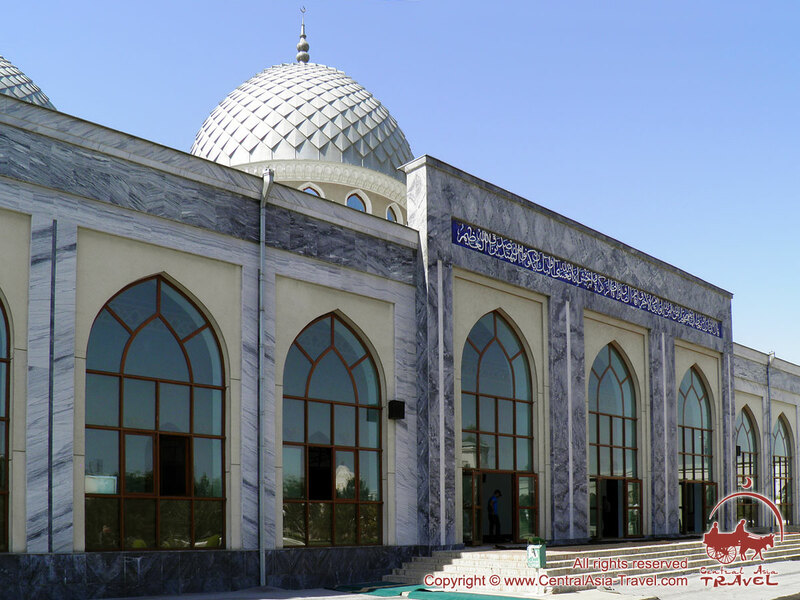 Juma Mosque, Tashkent’s first Friday mosque, was built on the top of the hill. The mosque decayed in the course of time. 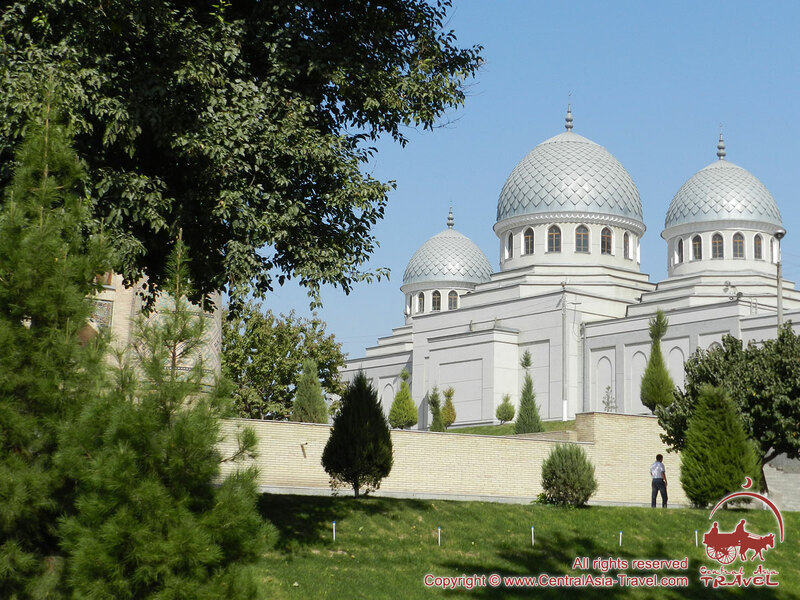 In 1432 they built a new Friday mosque on its foundations - by order of Ubaidullah Haji Ahrar Vali, a descendant of the Prophet Muhammad, the famous Sufi and public figure of the Timurid times, who was born near Tashkent in 1404. The new building had a distinctive dome and arches but time did not spare them and now it is difficult to know what the original look of the mosque was. The structures that were parts of the mosque ensemble do not survive either except Kukeldash Madrasah and Gulbazar Mosque. Only rare old photos help us see how the original ensemble looked. Juma Mosque was restored a few times. In the 18th с, for instance, its cubic building and vaulted galleries with hujra cells were thoroughly renovated by order of the local khokim neighborhood governor Yunus Hajji. The mosque suffered from the elements, too. Tashkent is situated in an earthquake-prone area, near mountains. That was why a large number of the medieval buildings in the city have been damaged or destroyed. The 1868 earthquake destroyed Juma Mosque almost completely, and it did not function for the following 20 years. It is interesting that most of the funds for the reconstruction of the mosque were allocated by the Russian Emperor Alexander III that is why today Juma Mosque is also called “Tsarist Mosque”. Juma mosque is the third-largest and the third-highest Friday Mosque in Uzbekistan, only Bibi-Khanym Mosque in Samarkand and Kalyan Minaret in Bukhara are superior to it. It seemed particularly high in ancient times, when around the mosque, and in the city itself, there were no high buildings, apartment buildings and business centers. Cube of Juma mosque was visible almost from any part of the city. 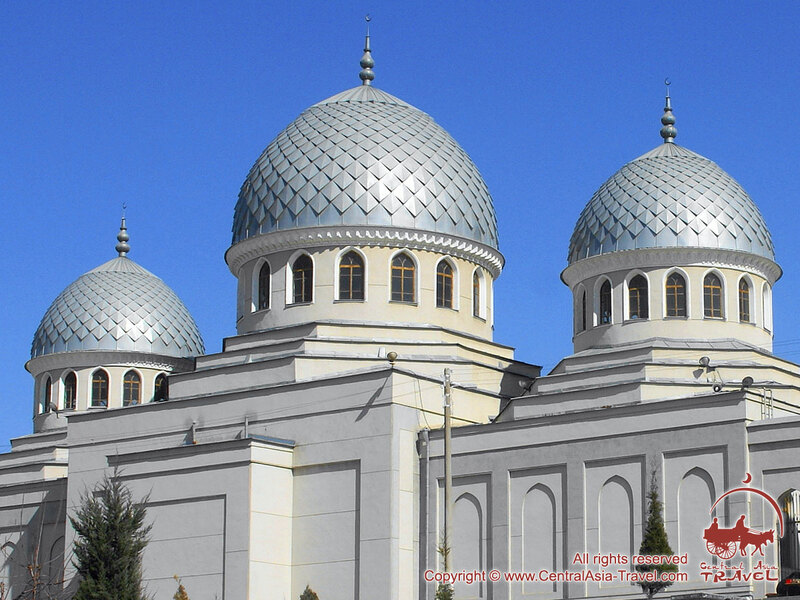 Juma mosque has a magnificent view over Tashkent, so photo pioneers loved to take pictures from fifteen-meter cube of the main building of the mosque. 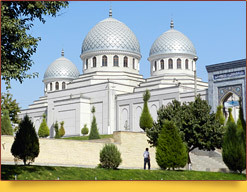 In 2003, Juma mosque again underwent a serious restoration with the use of modern methods of construction and finishes. Instead of just one dome a mosque is now crowned with as many as three, an architectural monument has become of a modern look and still functioning. Largely thanks to the excellent location (next to Chorsu bazaar) a lot of worshippers come here.